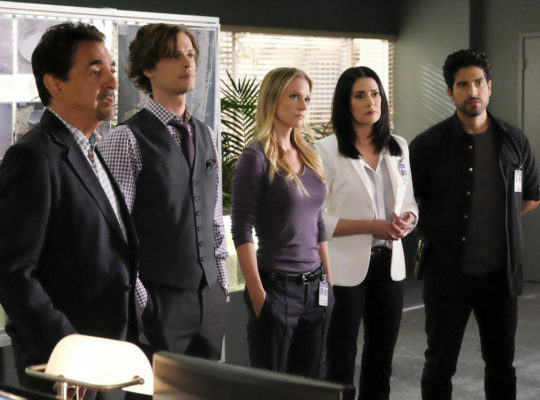 What’s next for Criminal Minds? Recently, CBS Entertainment chief Kelly Kahl spoke with Deadline about the future of the TV show. Season 14 of Criminal Minds premieres on CBS on September 26th at 10 p.m. ET/PT. What do you think? Do you watch Criminal Minds? How many more seasons do you want? I look forward to this show every week. I record it and watch it usually the next day. My working hours do no allow me to watch it late in the evening. Please continue for season 15. Please continue Crimminal Minds it is literally the only show I truly get excited about. I love buying the entire season and watching over and over. This is an intelligent, often reflective of reality, entertaining series. Like I said the best on air right now. I love love love Criminal Minds~ you would be crazy to cancel the show! Look at some other silly shows before losing this one~ Big Brother is awful! So many others are stupid! Keep this show~ so many others are yucky and boring! Ps~ we need more episodes !!! !